An all purpose tool for small yard cleaning tasks in all seasons and use as a snow shovel in the car. The shovel’s compact size, steel shaft and aluminium blade make it easy to transport and carry in the back of the car or as part of essential camping gear on the move. 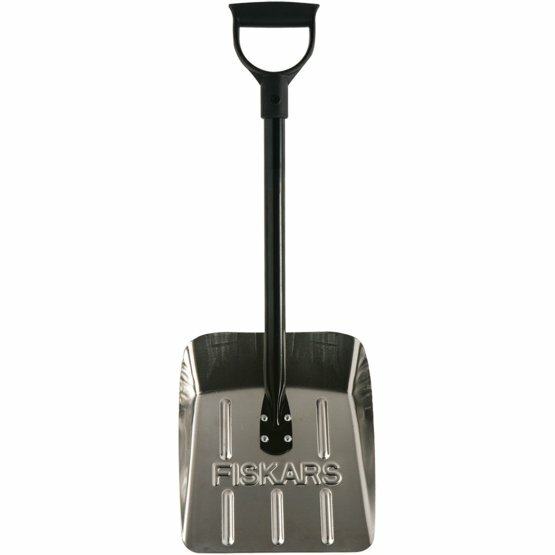 This mini shovel is perfect for small yard cleaning tasks or as a handy snow shovel in the back of the car. Its light aluminium blade construction and steel shaft make it a sturdy and reliable companion when you are on the move or when you are camping. All purpose shovel for small yard cleaning tasks in all seasons. Steel shaft and aluminum blade. Light to transport and carry.